It’s odd that the blossoming of a tree that is native to the Himalayan mountains should herald Spring in suburban London, but that is what the magnolia does. And this one on the slope on the south side of Kenwood House is particularly splendid. It is now in full flower, on 16 March. In 2009 it was at the same state of blossom on 24 March and last year, 2012, it did not bloom until after 2 April, according to the newsletter of the Friends of Kenwood. The tree was probably planted in 1925, or shortly after, when the house was bought by Edward Cecil Guinness, First Earl of Iveagh. Arthur Oxford was appointed first head gardener that year. When Guinness died in 1927, he bequeathed the house to the nation. In March 2009, shortly after the birth of my second son, I went up to the south terrace of Kenwood almost every day to photograph the tree in full bloom. For several days I went home without a picture because the flowers weren’t completely out yet. 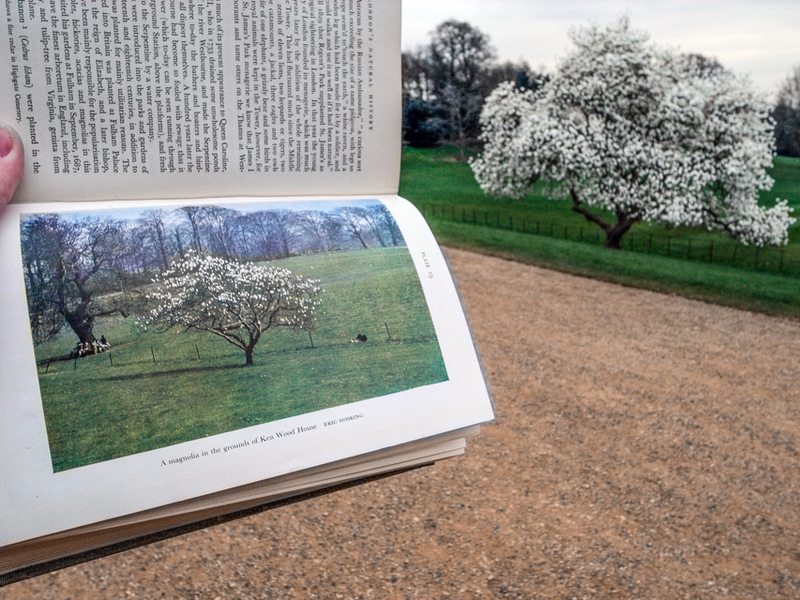 In 1945 the famous bird photographer, Eric Hosking, had taken a photograph of the magnolia at almost exactly the same time of year, for R.S.R. Fitter’s endlessly interesting book, London: A Natural History, published in 1947. What’s interesting in Hosking’s photograph is the oak tree to the left of the magnolia, with a bench around it, on which sit visitors to the grounds. The tree is no longer there. 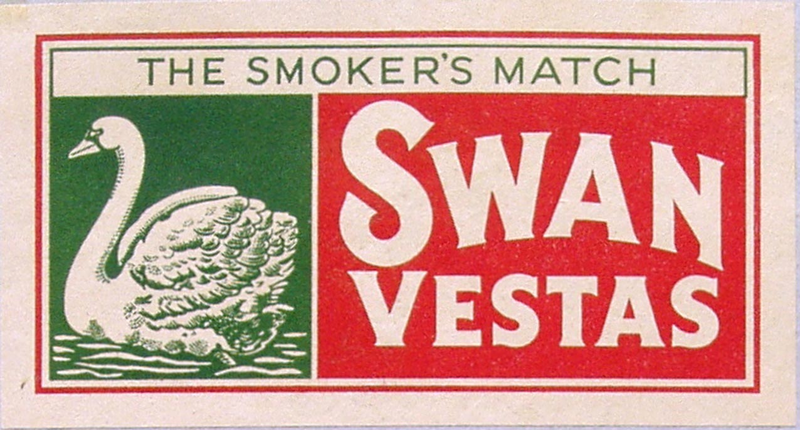 Hosking, who famously had an eye pecked out by an owl as he climbed into a hide to retrieve his camera, was the anonymous photographer of the swan that was used for the drawing n the Swan Vestas matchbox. This entry was posted in Human Nature, London, Nature, Parks, photography and tagged Arthur Oxford, bloom. flower, blossom, Edward Cecil Guinness, Eric Hosking, Kenwood, Kenwood House, Londpn. magnolia, magnolia, tree. Bookmark the permalink.